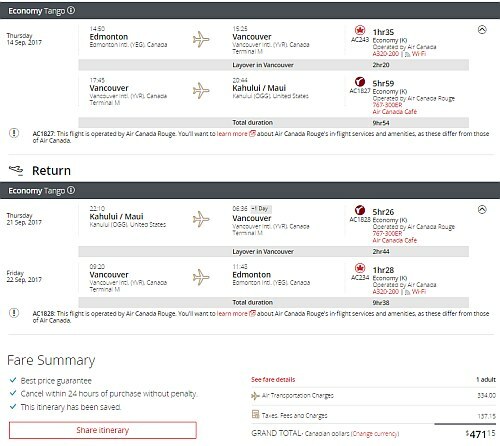 Air Canada Rouge has dropped the price of their 1-stop flights from Edmonton to Maui, Hawaii in September down to $471 CAD roundtrip including taxes. 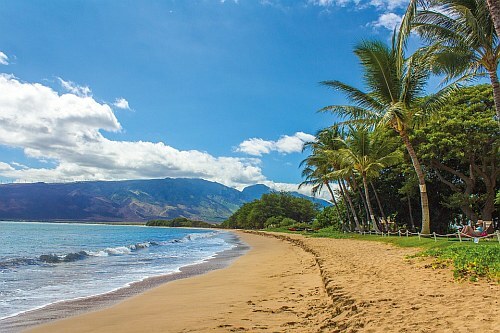 I'm still holding out hope that WestJet will drop the price of their non-stop flights to Maui in January or February below $500 roundtrip at some point. (Currently priced at $557). 2. Select your flights and click through to the Air Canada website for booking. edmonton, yeg, flight deals, united states, maui, ogg, hawaii, north america and air canada rouge.